Welcome to Justin’s Debut-Dance Ball! 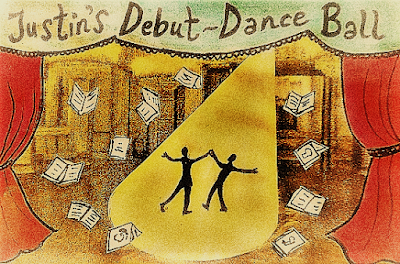 A virtual party to celebrate SCBWI-BI members’ debut publications. This month, Justin welcomes Patrice Lawrence, author of the Costa short-listed Orangeboy to his ball, and invites her to take a turn on the dance floor, whilst he asks the questions only a newly-published writer can answer! Thank you, Patrice, for being my first dance partner at the inaugural Debut-Dance Ball. Now, it’s your party, so you get to choose the music. Maybe a tune that inspires you to write, or a soundtrack that kept you going with your novel, or simply a piece of music you love to dance to. What would you like the band to play? Many congratulations on your debut YA novel Orangeboy. How did it feel to hold a copy in your hands for the first time? I’m ashamed to say that it wasn’t as climactic as it should have been. The publishing deal was the biggie for me and I was still processing that. I have also always had a day job and I was managing that, as well as my daughter dealing with her GSCEs and deciding her next steps. I also knew that there were masses of good books coming out the same time from both debut and established writers. It’s a tough market! Tell me about the Costa Prize. How did you celebrate being short-listed? I had no idea that it had been submitted, so I was pretty shocked! (And that's saying something. I live in Hackney, east London and my shock-reflexes are made from granite formed at the start of time.) I was rummaging through my personal emails at work (just for a few minutes!) and saw an email from Hachette PR marked ‘confidential and extremely exciting’. Some of the most exciting news I’d ever received and it was embargoed! I went into the kitchenette and had a glass of water… Hachette sent me champagne and my wonderful workmates bought me fizz to celebrate too. So it wasn’t just water. People always say they remember what they were doing when they heard JFK was dead, or that Trump was elected, or that Snape wasn’t a Death Eater. What were you doing when you found out you had a publishing deal? I was on the top deck of the 106 bus splashing through the torrential rain in Lower Clapton, coming home from work. It eased the knowledge that I would soon be getting off the bus without an umbrella. As you know, Words & Pictures readers are an inquisitive bunch and they want to know how long it took for you to write your book. When did you start writing Orangeboy? How many drafts did you go through? I started writing it at an Arvon Crime Writing Course in November 2011. We were all given writing prompts – mine was 'he woke up dreaming of yellow'. Courtesy of a teachers' strike, I'd been to Hyde Park Winter Wonderland the week before. Everything was so expensive, that my daughter and I had to share a hot dog. Suddenly, I thought of a young man watching a girl of whom he's rather in awe buying a hot dog for him. Because it's crime, you have to up the stakes... I wrote a fast draft in about six weeks, mainly free-writing. I was between jobs at the time, having just taken redundancy. I took the ideas to my writing group, who advised, supported, criticised and mentored. Their help was – and remains – invaluable. My agent loved it too. I wrote a couple more drafts and then I kind of abandoned it for 18 months when I went back to work. Going back to it, I cut a rather unnecessary subplot, and honed and honed. Once with the publisher, it was mainly tweaks. My experience has been very good. I think I was reassured because my editor 'got' what I was writing about and helped me polish it more and more. Deadlines were fine and I felt that it was a collaborative process – I even had input on the wonderful cover by Michelle Rochford. The publicity and promotion side was a revelation to me, though. I wasn't really aware of the army of book bloggers who support and promote YA writers. Choose? Ha! I was just grateful – and very lucky. I met Caroline Sheldon by accident at the British Book Awards. I was a last-minute Arts Council guest after my short story was included in an anthology. Caroline was with John Agard and Grace Nichols, the only people I vaguely knew in this big room full of chattering book folk. After knocking back a prosecco, I went to talk to John who introduced me to his agent – Caroline. She bought a copy of the anthology and has been nurturing me ever since. The music’s loud enough, so let’s talk dirty. I mean, of course, the ‘R’ word. But first, perhaps you’d like to add your own stats to Justin’s ‘Rejection-O-Meter’: How many times were you rejected before you found an agent or publisher? g) I’ve never experienced the crushing pain, sorrow, and heartbreak of rejection. 1. I've applied for enough jobs that I've been turned down for, so the crushing pain, sorrow and heartbreak of rejection is seared into my psyche. 2. I'm naturally grumpy, so ANY good news is a bonus. 3. As soon as I sent something off, I'd try and forget about it and start something new. My one adult novel took more than six years to write and no one, not even my agent, wanted it. However, I came to understand voice, POV, writing landscape and history. I still like the characters and they may surface in something else. And now, as the music fades, there’s just time to for you to tell us what’s up next for Patrice, the author. Are you working on a new project? Or perhaps trying your hand at a new genre? 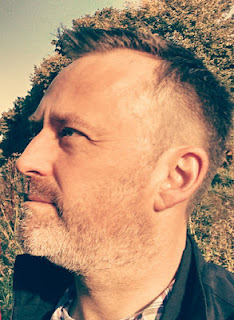 I've just started as the Programme Manager for Spread The Word, the writer development agency in London, setting up events for London's writers. It's so wonderful to spend all day talking about something I know and love. 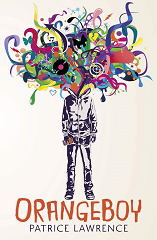 I've also just submitted the edits for Indigo Donut, my second stand-alone YA book with Hodder Children's. Last year, I was lucky enough to attend a few festivals and I'm hoping for the same again this year, starting with the Oxford Literary Festival on the 25th of March. Thank you, Patrice for joining me at the Debut-Dance Ball. Sorry if I trod on your toes. Orangeboy is out now, published by Hodder Children’s Books. 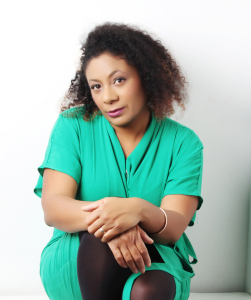 Patrice Lawrence was born in Brighton and was brought up in an Italian-Trinidadian household in Sussex. She found her way to east London in the '90s and lives there with a partner, a teenager and a cat called Stormageddon. Her first novel, Orangeboy, has been nominated for various awards including shortlisted for the Costa Children's Book Award, nominated for the Carnegie Award and longlisted for the inaugural Jhalak Prize. She loves crime fiction, sci-fi and trying to grow things. Her ideal mixtape includes drum 'n' bass, Bruce Springsteen and Studio Ghibli soundtracks. Music can't help creeping into her books. Really graceful answers, Patrice. And Justin, you're not a bad little mover yourself. Looking forward to seeing who you cha-cha with next. Loved your moves here, Justin. Fab first dance. Looking forward to the next.. Fantastic interview! Oh how I wish I was on the dance floor with you both, perhaps a literary two step and the like? Orangeboy has made me late for work three times. I keep missing my stop! Now I want to buy the book! Thanks to you both.